Oh boy, oh boy, oh boy! Look who it is! 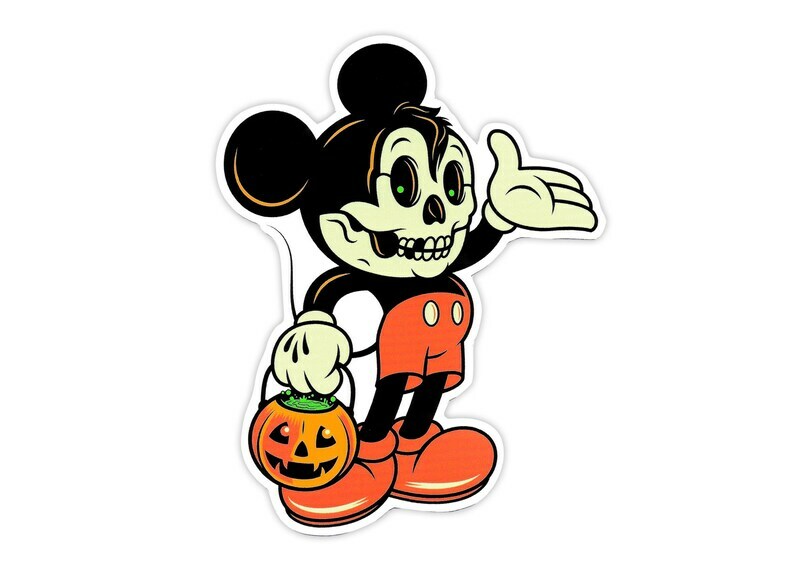 Your pal, Creepy Mouse, is ready for Halloween every day. • Size: 4" x 5"
STICKERS SHIP FREE! Free domestic shipping (and cheap international shipping) is provided without a tracking number. If you need tracking, please purchase with another (non-sticker) item. Super cool sticker, very good quality. Really thought it was cool getting a handwritten note from the artist. Awesome sticker!!! Totally Awesome Seller!!! Fell in love with the sticker when I order it and fell more in love when I got! Great quality!